Eyes are always on me. Eyes are always judging me, wondering about me. Eyes are telling me the truth that the lips won't say. Eyes are holding my gaze, and sweeping me in. I sometimes feel that I am overly intuitive when it comes to subtle body language. A small grimace makes me wonder what I said wrong. A flashing glance can make my stomach drop to my ankles. I feel them all on me; a thousand eyeballs piercing my soul. And yet, I am transparent. I feel eyes looking past me, through me. Eyes that don't care to see what's before them, or too busy looking for the next beautiful thing to gaze upon. Eyes on the prize, looking ahead. It's not me, or is it? 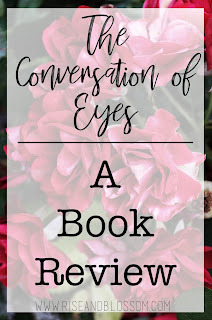 In reading The Conversation of Eyes by Angel Aranda, I have found myself pondering all these things. 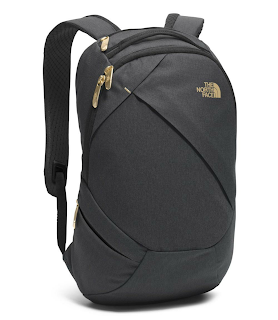 I thought about what I give away when I look at someone and tell a straight lie. I thought about what it meant when a loved one gazed at me when I was unaware. I thought about the things I have seen, and how they shaped me. The author speaks to you, and she wants to tell you a story. She tells a story about eyes that see everything that is ugly and beautiful. She tells you about eyes that have stolen and broken hearts. She tells you about the souls you can see through these colorful windows. People will give glares of disapproval, or outright look over our heads. Their eyes are thousands of words, speaking at once, crowding the mind, forcing your own eyes shut. But you can't let their words be louder than yours. Open your eyes, and speak your truth. See through the lies, see the light in the dark. Let your eyes guide you through. I look in the mirror at myself. My eyebrows are nearly as out of control as my hair. My lips can't hang on to the lip gloss I apply. My face is dotted with freckles, blemishes and small scars. But my eyes, they are different. They are a warm voice calling through a cold mirror. They hold childhood memories and lessons learned. They are my window to a beautiful world, and I have the option to see that. I can see tall mountains, and flowering meadows. I can watch my daughter discover the world, her fresh eyes taking in the awesomely large world around her. 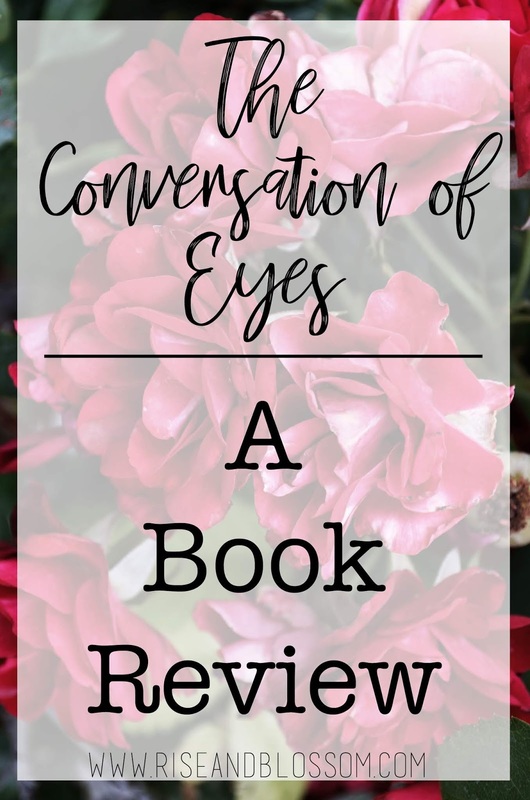 The Conversation of Eyes, though a short read, was filled with thought provoking lines and verses. Its simplicity tells a beautiful and heartbreaking story about how the eyes speak, and how they guide us. Anyone who has felt the burning gaze of a lover or stared to the heavens for answers can relate to this story. The eyes are the windows to the soul, and now they have a story to tell. This sounds like such and interesting read, I'll have to pick it up! 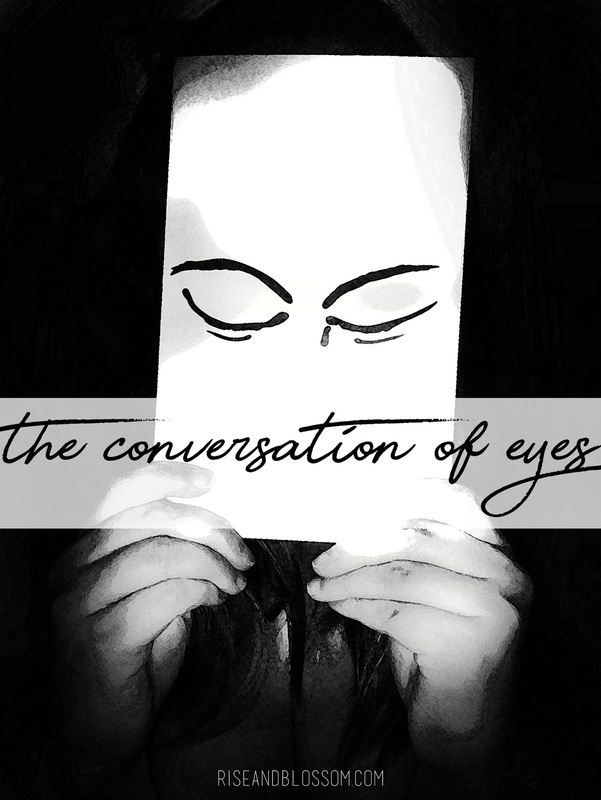 I find the whole idea of eyes speaking and revealing more than what is actually said really intriguing.